So. The Pines. A few interests here, they are an iconic tree of America. We know the story of the great white pines of the northeast...over three hundred years of exploitation, and more than any other tee built America. 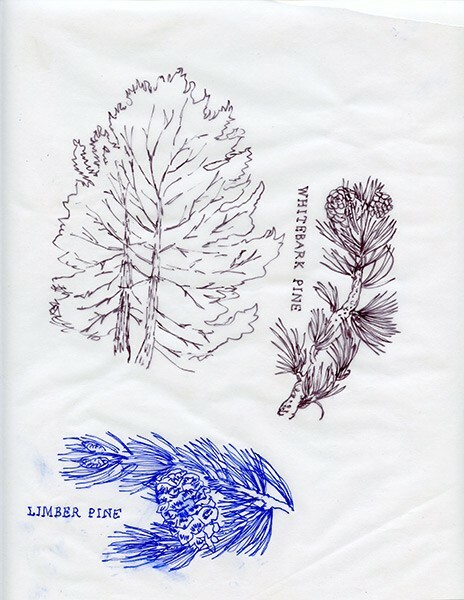 The yellow pines of the west, and all Western Pines, though many are protected by the National Forest Service and National Parks are facing a different kind of threat - the bark beetle. A quiet killer, the bark beetle has been steadily making its mark across the west. Warming winter temperatures due to global climate change is considered a major cause to the steady increase of bark beetle infestation. The pines are a romantic tree...lets face it...most trees are. They find their way in folk songs, stories, poems all through out America. This body of work embraces the romance and tragedy enmeshed in American history. I find these trees and the accompanying stories a true representation of America, both the history and the future. 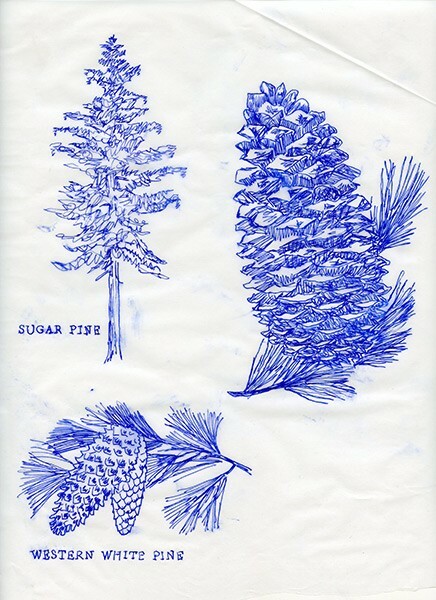 These works are inspired from the books, A Natural History of Trees by Donald Culross Peattie (Illustrated by Paul Landacre), as well as the folk song "In the Pines", recorded by Leadbelly and by many others including Nirvana. Folk songs are also a huge influence due to their reuse over the years, and how the lyrics change slightly to fit context of time and place. I see this same relationship in the use of digital information, reused and remade to fit time and place. 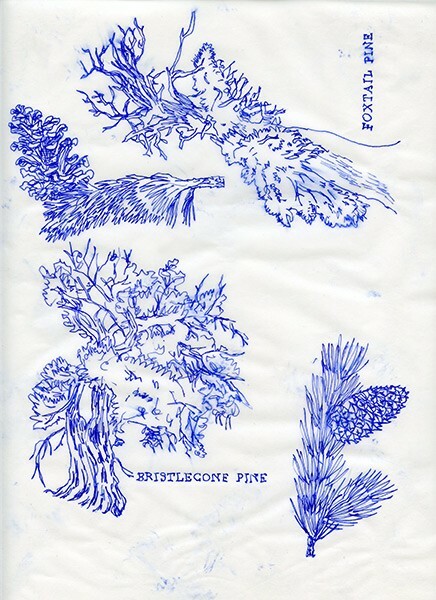 I made myself draw all 27 illustrated varieties of pine trees from the two books in one sitting. It got a little rough towards the end. The drawings were then scanned to be used for a variety of digital applications.